Welcome to the Faction Focus for the Hivecult. Today, we’re going to be breaking down everything you could want to know about playing the Hivecult at a local competition. 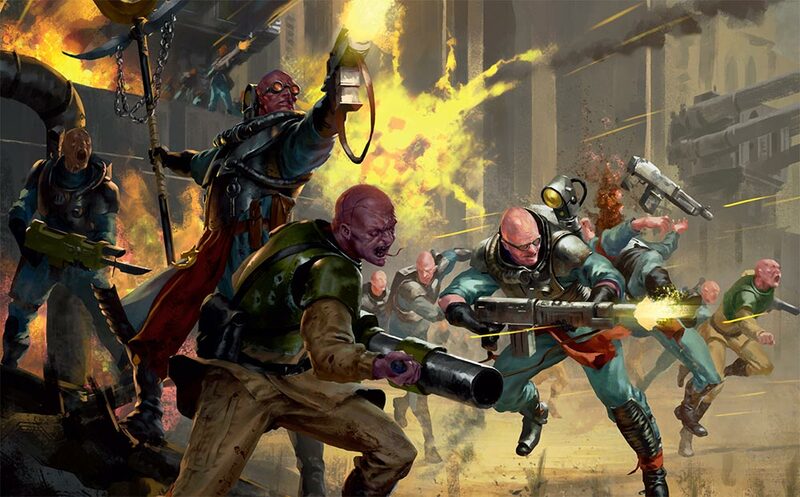 This article is a supplement to the Warhammer Armies:Genestealer Cults, intended to help you play Hivecult specifically alongside the information contained in Warhammer Armies:Genestealer Cults. 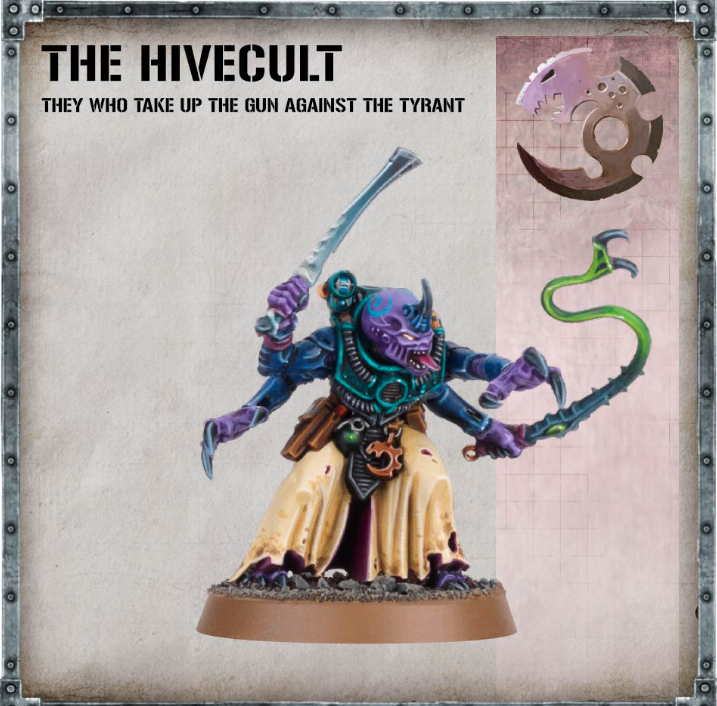 We’re going to go over everything specific to Hivecult, any specific units you might want to consider, a general breakdown of how Hivecult adjusts the general Genestealer Cults gameplan, and close out with a sample 2000 point list for Hivecult. With this information at hand, you should feel very comfortable using Hivecult (hereafter simply Princes)at all your local events, both casually and competitively, and even be capable of performing well at a large scale event. To start us off, we have the Hivecult trait, Disciplined Militants, which actually does two things. First, it automatically cuts losses from Morale in half. This is actually very useful since Hivecult really don’t want to include a Patriarch (more on that later), which can leave them somewhat vulnerable to Morale. This trait nicely counters this weakness. The trait also allows you to fall back and shoot, although you do incur a -1 to hit. 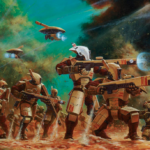 This ability to fall back and stay live with shooting is part of what makes Hive Cult so unique compared to the rest of GSC, and will be very useful for you against melee armies. Next, we have their unique Stratagem, Chilling Efficiency. This is a Stratagem used in response to any HIVECULT unit dealing damage to an enemy. It allows you to effectively mark a unit for death, as the rest of your HIVECULT units will get +1 to hit against that target. Note that this Stratagem is shooting phase only, and although it costs 2CP, it’s very good in conjunction with the rest of what Hive Cult offer. Moving along, we have their unique Warlord Trait, Hivelord. This gives your Warlord the rather generic 6” aura that many HQ’s have, which is the ability to re-roll 1’s to hit. However, in GSC, this ability is basically one of a kind, and actually quite critical. In conjunction with the Stratagem and certain list decisions, it’s easily possible to get units to hitting on 2+, re-rolling 1’s. Space Marines dream of being this accurate. Note that this Warlord Trait basically precludes you from taking a Patriarch. Hivelord is key to making Hivecult work, and a Patriarch is ill equipped to take advantage of it (as are a Primus and Magus, so no luck with a Broodcoven). This Trait will firmly find itself on a Jackal Alpha in just about every Hive Cult List. Finally, we have the Hive Cult Relic, Vockor’s Talisman. This allows your Warlord to re-roll missed melee attacks when targeting enemy CHARACTERS, and in addition you cause a Mortal Wound on any wound roll of 6+. 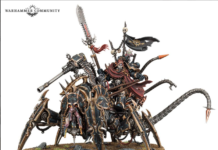 Ignoring the fact that Hivecult are the GSC gunline, this Relic is still pretty bad because it’s so narrow. When you consider how many other powerful Relics it competes with and how much Hivecult isn’t really about getting dug into melee as much, this Relic is a very easy pass. 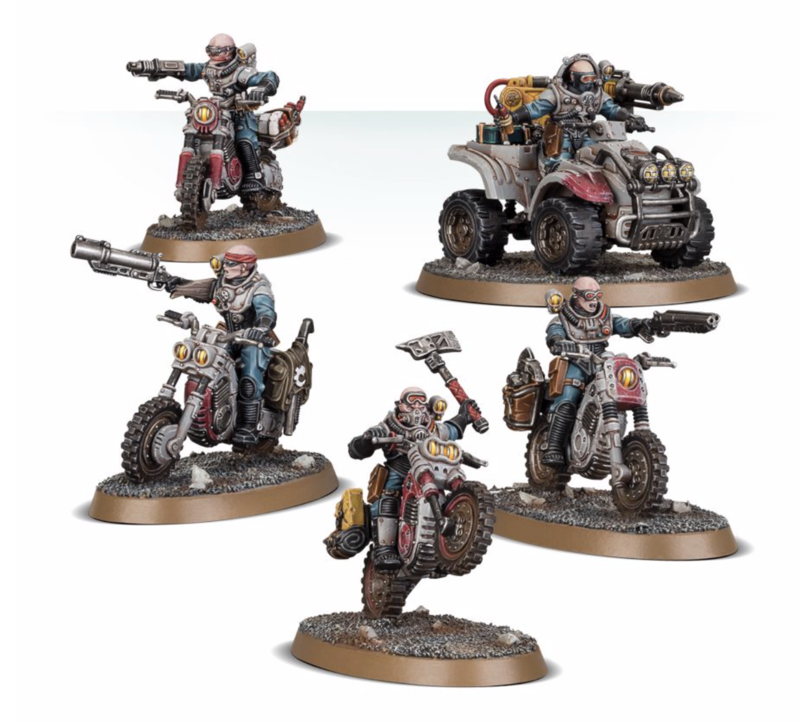 Overall, Hivecult have the foundations for being a surprisingly effective gunline while still maintaining the powerful melee threats that GSC naturally have available. This causes Hivecult lists to take a drastically different approach to the GSC Codex, but it can result in some very powerful combinations. The Jackal Alpha is normally kind of an awkward unit, since it improves the accuracy of your units with guns in an army that typically doesn’t take a lot of guns. However, in a Hivecult list, the Jackal Alpha is a great synergy piece helping to drastically improve your gunline. As a bonus, the Alpha is also extremely good at removing health from enemy CHARACTERS thanks to his Sniper Rifle. The Relic The Gift From Beyond also fits nicely onto your Warlord, making his Rifle an extremely threatening piece of equipment. You’ll want 2 in most of your lists. Atalan Jackals: Jackals actually fit into our list of normally recommended units, although they do so explicitly as a method of delivering lots of Demolition Charges. Out of Hivecult, they gain a whole new meaning. 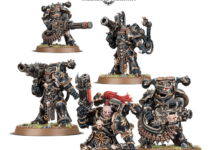 Now that their regular firepower is highly accurate (frequently hitting on 2+ and re-rolling 1’s, 3+ with Heavy weapons), you can reasonably invest in things like Grenade Launchers and Wolfquads. 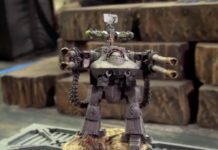 Hivecult open up a rapid, high mobility gunline that can re-deploy all over the board throughout the game, and proper use of Jackals is part of what makes the army tick. Achilles Ridgerunners: Normally, these guys are just bad. With a palty BS of 4+ and only Heavy Weapons, these guys are basically stuck holding still. They’re just generally not very good. However, in the context of Hivecult, Ridgerunners become a force to be reckoned with. They bring a variety of efficient weapon options at a reasonable price, and Hivecult pushes your accurace from 4+/5+ to 2+/3+. Plus, you also get to re-roll 1’s to hit thanks to Hivelord. Along with Jackals and a couple Jackal Alpha’s, these guys complete your mobile gunline. Note that although you have some decent weapon options, Flare Launchers are almost automatic for the added durability and cheap price point. Hivecult present a drastically different approach to GSC. Instead of being all in on crazy deep strike threats, you have two different threats. You still have 1 or 2 bombs sitting in Ambush to tie your opponent up in melee, but you bring a far more proactive and deadly Turn 1 as you have a horde of Jackals and Ridgerunners driving across the table. Between the drastically improved accuracy in Hivecult and your very high mobility, you can control huge sections of the board at any given time. Let’s take a look at a sample 2000 point Hivecult list and see how it goes about doing this. To begin, let’s talk CP. This list brings a ton, but it’s also planning on spending a ton. We have 20 out the gate, and we only spend one pregame for an extra Relic. However, we can spend up to 12 on Chilling Efficiency, and we still have two A Perfect Ambush uses, along with two uses of Extra Explosives, CP re-rolls, and whatever other Stratagems may come up. Our Nexos will earn us lots of extra CP over the game, but CP is something to still keep in mind. Luckily, deployment for this list is much easier. Your Acolytes, Purestrains, and Primus/Iconward go in Ambush, and everything else is blipped or deployed normally. You might want to consider spending 1CP for extra blips depending on how much of a gunline you’re fighting against. Once the game begins, this list takes off in a very different direction. Normally, the GSC turn one is rather lackluster. Here, we have the potential to be extremely interactive and aggressive by flying up the board and taking a midfield position. Although we have a lot of firepower, you should be careful about how much you expose your Jackals and Ridgerunners. They can shrug off some light attacks, but anything dedicated is gonna hurt. 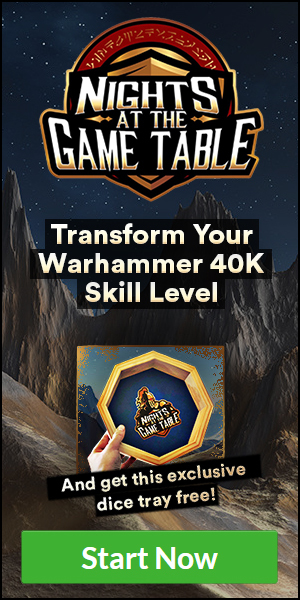 You’ll want to make a hole for Turn 2 without risking your whole mobile gunline. By turn 2, you should have made a decent hole in the enemy front lines with your accurate firepower. At this point, you can bring in your support characters and the Purestrains along with a Kellermorph. Your Kellermorphs and Jackals can either kill enemy CHARACTERS or cause the initial hits necessary to turn on Chilling Efficiench as needed. In addition, note that although multiple Jackals do not stack, you can mark different units as needed. After this, you should have dealt some decent damage and now you can afford to be more aggressive with your mobile gunline. You also have an Acolyte bomb on Turn 3 to help with the clean up. Instead of just trying to crush your opponent on Turn 2-3 with tons of Reserves, you’re trying to deal large chunks every turn and grind your opponent down over a few turns and then literally run your opponent over. That wraps us up for Hivecult! Although they offer a very different approach to the GSC codex, they’re still highly threatening in their own right. 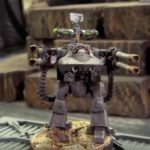 They add some very efficient firepower to the GSC army while maintaining the potent close combat threats the Codex is famous for. As long as you properly blend these two elements, you’ll find plenty of success on the tabletop. 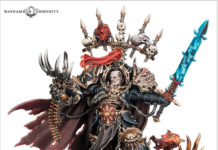 A Big Thanks to Games Workshop for the images provided.